I have to admit, I was a little disappointed last week that more of you weren’t interested in the SRP2 Picchio I wrote up. What a deal that car was as a track weapon! But I get it, not everyone likes an unknown race car. Well then, how about a very well known race car that’s been turned into a road car? If this doesn’t get your interest, you need to talk to your doctor and check your pulse. 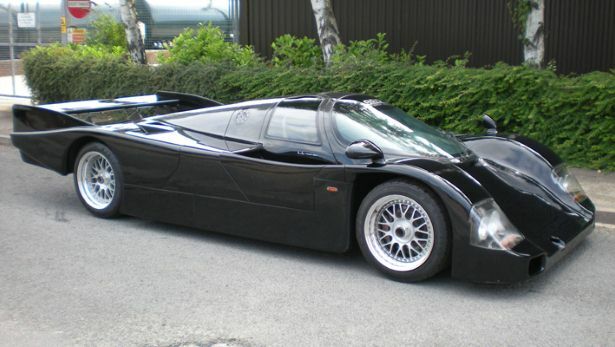 That’s because today we’re looking at a road legal Porsche 962. 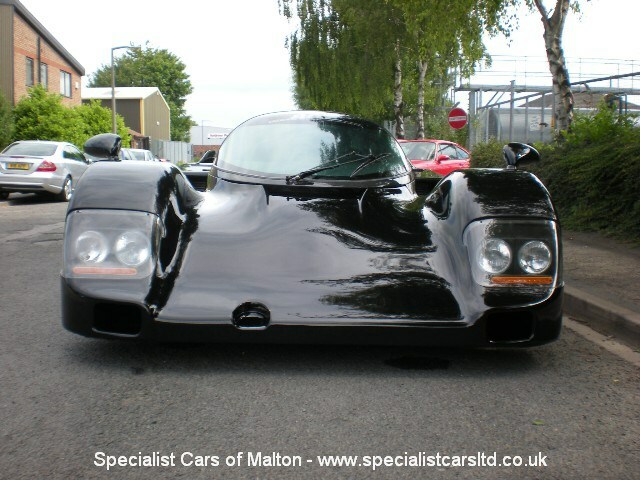 CLICK FOR DETAILS: Porsche 962 Derek Bell Signature Edition at Malton Specialist Cars Ltd. 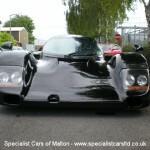 In stock now is this amazing road registered Porsche 962. Built at a cost of around $2 Million USD this astonishingly quick road car is based around an aluminium Fabcar monocoque with integral rollcage believed to have been built for the Dyson Racing IMSA team in the USA who prepared and raced Porsche powered race cars. On top of this chassis is a full carbon fibre long tailed body. Engine wise the standard 962 2.8 litre unit would be no good for road use so instead the car is fitted with a twin turbo 993 GT2 engine running 580 BHP and giving a colossal 741Nm of torque. When the car weighs just 830kg that equates to around 700 BHP per tonne. To put this figure into perspective the iconic McLaren F1 is 550 BHP/tonne, a Carrera GT is 442, a Pagani Zonda C12S is 437 etc. For long distance endurance the car features a 120 litre fuel tank. This power would be pointless if the car didn’t handle and stop well enough, to that end the car is fitted with top quality Koni adjustable suspension with hydraulic adjustable ride height (it will go up quite steep drives and speed bumps without issue). Stopping is taken care of by monster 350mm floating Brembo brakes with adjustable bias. Interior wise the car has two leather bucket seats with Willans harnesses, it features aircon to keep the cockpit cool, parking sensors, an intercom system for driver and passenger comfort and electric mirrors. 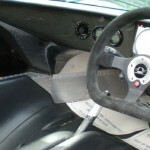 A removable steering wheel makes entry and egress from the vehicle much easier. For track use the car features air jacks, a fire extinguisher and towing straps front and rear. This has to be the ultimate fast road or track car which is as thrilling to drive as it is superb to look at. 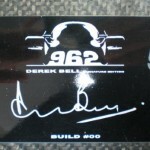 The racing legend Derek Bell put his name to the car which was planned to be manufactured in greater numbers, the inside of the door shut bears a copy of his signature and the build number 00. The history of most 962s is pretty difficult to follow. Many were raced, crashed, rebuilt, modified, or re-tubbed. 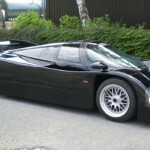 On top of that, not all 962s were built by Porsche – Kremer, Fabcar, and Andial among others all built versions of the 962. 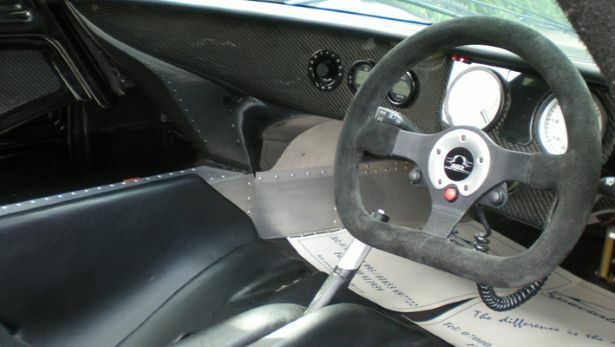 Fabcar was one of the few that received factory chassis numbers, and this particular example is a Fabcar built tub that was originally intended for Dyson Racing. You may remember me mentioning Fabcar as the firm contracted to build the 944 GTR I wrote up in July. 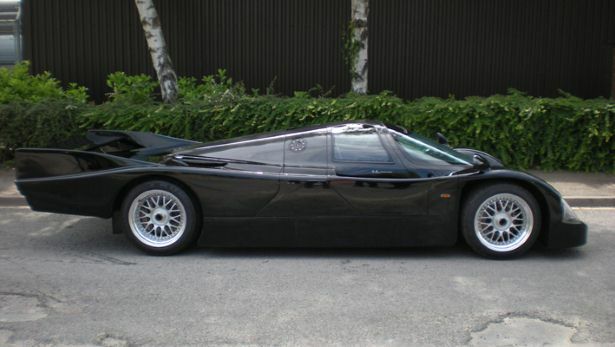 Fitted with a longtail body and a more-reasonable to run on the road GT2 twin turbo motor, this 962 certainly looks the part, though I have to admit it looks a bit naked without all of the normal graphics. Without those graphics one is also reminded how slab-sided these cars were, and just how big that long tail was. Of course, this car isn’t for everyone. It will be difficult to get it imported and registered in the US. It will be very expensive to run. You’ll need a pit crew to change tires. It has zero ground clearance. But, it does have a parking brake! So, if this is impractical as a road car, why are we writing it up? 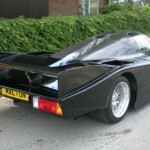 Well, if you haven’t been following the market (and you would be excused…), getting into a 962 will set you back – a lot. 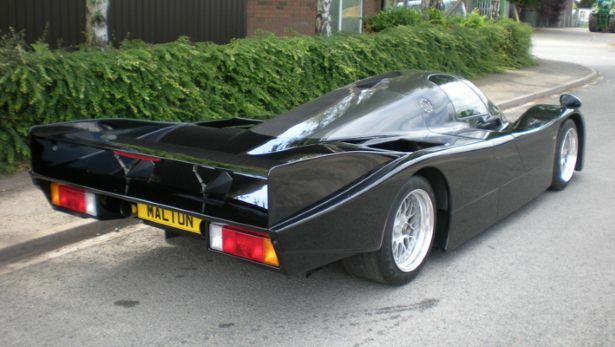 Buy a not particularly sucessful or well maintained 962, and you’ll be out 1 to 1.5 million. Want a winning car? Better have more than 2 million available. So, at $500,000, this car is a bit of a deal! $500,000 is about $100,000 more than some of the best Carrera GTs are fetching these days, but pull up next to one in this and I can guarantee what the crowd will be swooning over. And if you wanted to race it, PCA would recognize this as a legitimate Porsche and I would wager that with some convincing, you could even run it in some historic events, though that would likely require a motor change. Unfortunately for all of us, you’re not likely to ever see this car, and even more unfortunate is that this car will doubtfully ever be run on roads again. But haven’t you always wished you could drive one of those fantastic prototypes from the 1980s down to your local car meet to impress all of your buddies? I sure did, and because of that, I’m thankful that this car exists at all. A man can dream! 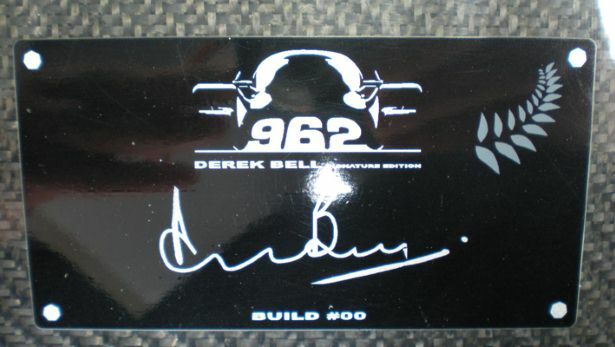 Tagged 3.6, 962, 993, BBS, Derek Bell, GT2, LH, Porsche, Twin-Turbo. What a find! 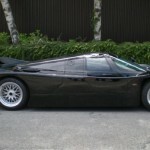 I love 962’s, and the Dauer 962 was and is still one of my dream cars. The 956/962 dominance in prototype racing will probably never be topped. Audi’s continuing Le Mans dominance has been done with different cars every year, whereas the 956 and 962 were essentially unchanged throughout its racing career.